To all our participants: the competition rules are now online. Check it out: Download the competition rules 2018 here. Are you ready for the ISR Grand Prix 2019? The registration is now open! We will see you on the 30th of November! The ISR Grand Prix is an annual event for skydivers. The ISR Grand Prix is every year on the last Saturday of November. For over years, the ISR Grand Prix is one of the biggest skydive events of the Benelux. All categories, from rookie until AAA, can participate. Each category flies over 8 rounds, excluding warming up. The regular fee for participating is € 375,00 per team. Lunch and dinner are excluded. If you would like to receive more information about the lunch and dinner packages, send us an e-mail (gp@indoorskydive.com). Indoor skydiving is growing as a sport. It’s no longer a sport that is exclusive for professionals, it is a sport for everyone. The first time, flyers get a chance to interact with the amateur and professional teams. This interaction contributes to the continuity of our beautiful sport. Also, since 2014 FAI/IPC has adapted the indoor skydiving competitions as an official part of the world rankings, acknowledging the huge interest and potential from sponsors, media and participants. Many first time flyers have been infected with the virus and have started to train on their next level and even forming teams. Nowadays, the young guns are trending. Indoor Skydive Roosendaal has always put their focus on the first time flyers and the rookie teams before the professional teams. High level competitions with big prize money attract many of these professional teams, which is great to see, but for a large portion of the starting teams this can be very intimidating. Realizing there was very little possibility for rookie teams to experience a nice officially judged competition, Roosendaal stepped up and made this possible. The smooth organization and the high profile feel of the meet makes this a very unique competition. How often do we see these rookie teams competing with so little attention? We want to do this different. We still fly all 4 categories, but you will find that the bigger numbers of teams are in the rookie and single A category. We believe this helps to make the sport wider and deeper plus the interaction of recreational, amateur and professional. 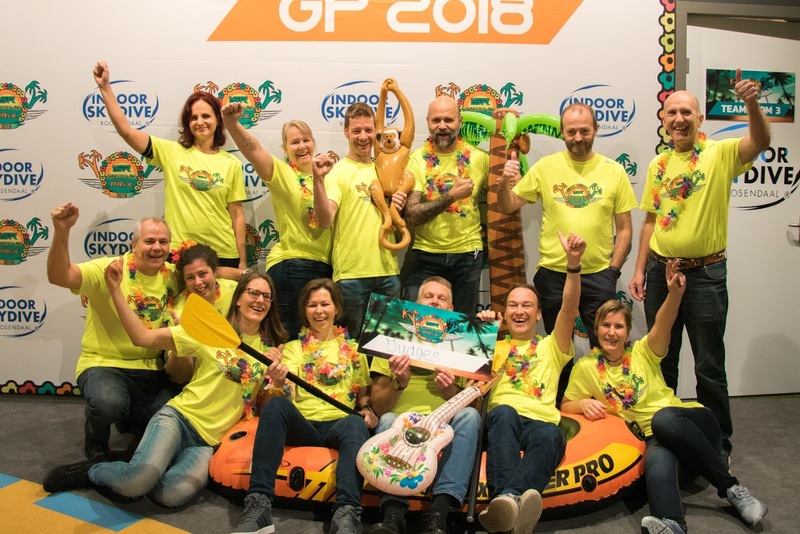 The team of Indoor Skydive Roosendaal is very proud to celebrate the 9th Grand Prix in 2019.